(1980). Our deconstruction of value began with segregation of the firm's current economic value from the added value generated by future growth. The key to this segmentation was to incorporate the current level of sustainable earnings into an expanded concept of book value that we termed the "tangible value" (TV). In essence, we treated all earnings from the current business as being immediately paid out as dividends. We further extended this "full payout" notion to all future earnings as well, thereby eliminating reinvestment as a funding source. Without any reinvestment, the firm would have to look to an external market pool of capital for financing any incremental growth. We assumed that equity funding for new projects could be drawn from this pool at a risk-adjusted cost of capital (COC). However, in order to both be viable and attract the needed capital, any new project would have to rise above the commodity level and hold the promise of earning some spread above the COC. This orientation toward external financing led to the idea of a franchise spread. To achieve a positive franchise spread, a project would by definition have to draw on the resources that were unique or at least special to the firm—patents, licenses, distribution networks, brand recognition, particularly efficient manufacturing capabilities, and so forth. In other words, to be additive to the firm's economic value, a project must have some special franchise-like quality— hence, the terms "franchise spread" and "franchise value." Basically, this line of reasoning implies that a firm's growth derives from new projects having returns that provide a positive franchise spread above the COC. We made the further assumption that, in today's global financial markets, any project opportunity with such a positive franchise spread would be able to attract the required capital. Thus, the key to productive growth is the magnitude and returns associated with these franchise opportunities. It is these project opportunities that are the source of the value derived from growth. In general, these project opportunities will arise in an episodic fashion, and the return that they generate may also have erratic patterns over time. However, any pattern of future flows can be represented as an appropriately discounted present value. When thus expressed in terms of current dollars, the totality of the excess returns from these franchise opportunities corresponds to what we have called the firm's franchise value (FV). The firm's intrinsic value is then just the sum of two components: (1) the tangible value, based on the firm's current earnings prior to any new capital investments, and (2) the franchise value, based on the totality of future capital projects that can provide returns in excess of the COC. A large number of these findings relate to the issue of growth itself. At the outset, it is evident that growth by itself is not a source of value. A firm can always grow its earnings by investing in projects that just return the COC. However, such projects do not create value. Value is created only when growth is derived from projects having a positive franchise spread. Another set of rather striking results follow from the following observation: Even a plethora of franchise projects does not insure that the firm's P/E ratio will itself grow. All visible franchise opportunities should be already reflected in the firm's valuation. Therefore, any upward boost in the P/E ratio must come from some sort of surprise event—either the discovery of new franchise prospects or better-than-expected progress toward the realization of already-visible franchise opportunities. Under conditions of equilibrium, the P/E ratio for a growth company should typically follow a descending orbit as its future prospects are brought to fruition and become embedded in the firm's earnings. This observation calls into question the all-too-common practice among equity and financial analysts of projecting a consensus growth in earnings to some horizon and then applying the current P/E ratio to estimate the future price. Since equilibrium conditions and consensus earnings growth should combine to make the P/E decline, often rather significantly, this stable P/E assumption can lead to a persistent overestimation of a stock's prospective return. Another result, surprising to some analysts, is the sheer magnitude of the franchise opportunities and returns required to justify high P/E ratios. Even when quite ample prospective return and franchise spreads are assumed, a high P/E ratio requires a large set of investable opportunities, especially relative to the size of the current business. The franchise value decomposition also provides insight into a puzzle that has long confounded discussions of the interest rate sensitivity of equities. From standard DDMs, one would expect equities to exhibit a super-sensitivity to changing interest rates. However, while equities do statistically exhibit some correlation with interest rates, it is quite low, very unstable, and even switches signs from one regime to another. In other words, the market experience has no resemblance to the extremely long "stretch durations" predicted by the DDM. The franchise value framework points one way toward resolving this paradox by noting that (1) a company's future earnings can respond to changing inflation, and (2) there can be significant difference in this inflation adjustment between the TV and the FV components. The combination of these two effects can help explain the more moderate equity duration value seen in practice. Another subject where there is often much confusion has to do with the effect of increasing leverage on the P/E ratio. This subject can be addressed from two different viewpoints, with radically different results. First, from the corporate finance position, many financial analysts are surprised to learn that increasing leverage of a given firm can lead to either increases or decreases in the firm's P/E ratio. 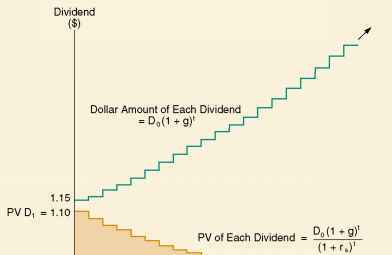 The direction depends on the firm's hypothetical P/E prior to any leverage. However, the more salient point is that this P/E effect is very modest for common levels of corporate leverage. A second and very different answer obtains when considering the challenge of an equity market analyst looking at similar stocks having different degrees of leverage. In this case, the differential levels of leverage do affect the P/E ratio—with higher leverage always pushing down the theoretical P/E ratio, sometimes quite significantly! The difference from the preceding case is that here we have an already-levered stock and the analyst is trying to peer through the leverage to determine the firm's underlying return characteristics. In contrast, in the preceding corporate finance case, the firm and its return characteristics are known, and the only question is the impact of increasing or decreasing leverage. The basic findings are summarized in a later section of this introduction, along with pointers to the chapters that provide the more detailed explanations. During the development of the basic idea, I often found myself, together with my associate Stanley Kogelman, being asked to talk at various seminars and meetings about the franchise value methodology and its implications. Once described, most practitioners found the franchise value generally comfortable and pretty much consistent with their intuitions. However, there was one conversation where I mentioned the idea of an antifranchise to an individual who turned out to be in the process of organizing a major conference. I explained my conjecture that, just as the business world sought and valued franchise opportunities, there had also to be many instances where firms found themselves—for one reason or another—locked into activities that were net losers (i.e., antifranchises). In short order, I found myself committed to give a keynote talk on the antifranchise. One doesn't have to look too hard around the modern business landscape to find examples of antifranchises that destroy firm value: projects with predictably overstated forecasts, companies consecrated to growth at any (capital) cost, imperialistic expansions, overly optimistic acquisition programs, determined support of pet projects, organizational reluctance to abandon failing projects in a timely manner, and so on. However, these examples are both dry and rather depressing, especially for a keynote talk. To lighten things up a bit, I needed a keynote joke. But try as I might, I could not come up with anything humorous about the antifranchise concept. At the time, I was the Director of Research at Salomon Brothers and the Chairman happened to be Warren Buffett. One day, we were having lunch together and the talk turned to my dilemma. Without hardly a moment's hesitation, Buffett not only grasped the idea of what I was calling an antifranchise, but he said that he had a joke that perfectly fit the keynote occasion. The story was about a man who comes to the United States and becomes a successful businessman. One day, he receives a letter from a long-lost cousin in the old country informing him that an equally long-lost uncle had just passed away. The letter goes on to talk of the poverty back home and requests some help to give the uncle a decent burial. Our businessman quickly complies and sends the requested funds along with a brief note of consolation. A few weeks later, he receives a second letter explaining that the uncle didn't have a suit to his name, and could some additional funds be sent over to cover the cost of a burial suit? Once again, a bit more warily, our businessman complies with this request, thinking that this should surely be the end of the saga. However, after a few weeks, a third letter comes, again asking for more money to cover the expense of the suit. This time, our exasperated businessman, wondering why he should repeatedly pay for the same suit, dashes off an indignant response. Shortly thereafter, a reply comes back from the cousin. It turns out that the suit they had used to bury the uncle was rented! Buffett finished the story and asked if that wasn't what I meant by an antifranchise. Of course, it was, and you can bet that I worked his tale into my presentation. But I still find myself amazed at how naturally and instantaneously he came up with this story that so perfectly "suited" the occasion.